The anticipation for the easter race is rising and you can’t wait to get more details? Harz is calling! We are going to meet up at Campingplatz Eulenburg (adress: Scheerenberger Straße 100, 37520 Osterode am Harz). So we all have enough time to arrive and hang out together before the madness starts next day. Please don’t forget to bring your sleeping bags (matresses are already there) and money for the shelter (Fee: 10 Euros per night)! The game is on! This year’s chosen one: Ping Pong! - The race will officially start at 9am and end at 6pm. 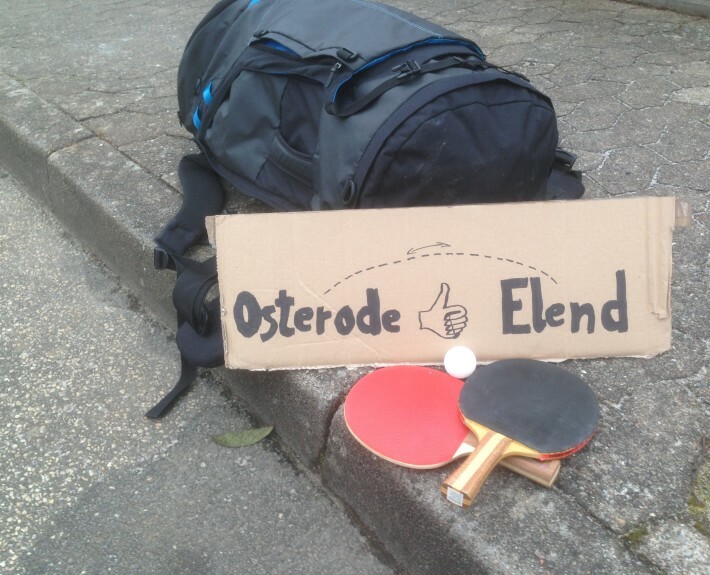 -Try to hitchhike between Osterode and the village called Elend back and forth as often as possible. It’s your choice which roads you take. 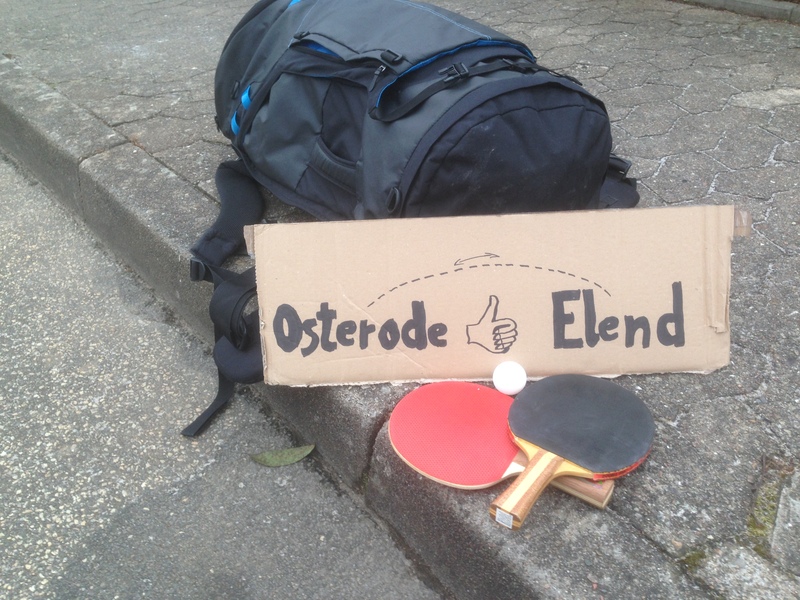 In case you reach Osterode just take a picture of it’s place-name sign. If you reach Elend on the other hand, you have to take a picture of the memorial stone placed at the roundabound right in the middle of the village. - In the evening we all are going to meet at our camping site, count the pictures of each team and celebrate the great winners afterwards. Ín case of a tie, the team that first came back to the camping site will win. So write down your final arrival time. If you’re still on the road at 6pm, you will be disqualified. Write us via gro.nennerpmartnull@ofni if you want to participate, so you can get further contact information.